Know what I love about grocery shopping? Nail polish! But not just any nail polish. Joe Fresh nail polish! Wheeeee!!! So, a couple days ago, I needed a re-up on lettuce (ugh, salad – I don’t like it). Nick and I headed to Loblaws where I left him with the cart in the checkout line while I popped over to the tiny Joe Fresh cosmetics section. The Fall 2014 shades I’ll show you here weren&apos;t out yet, but I did find a couple other lovely stuffs I’ll show you at the end. 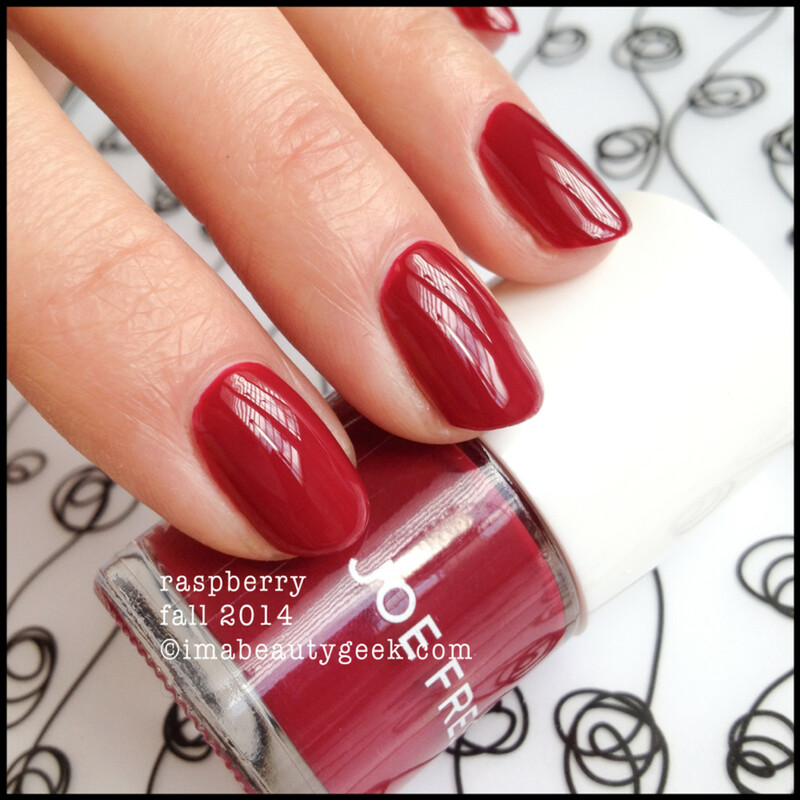 above: joe fresh polish rosetta OCW!! You’re gonna want to cap your free edge first and then do your color coat nice and fast with minimal strokes to reduce streaking. Yep. That. 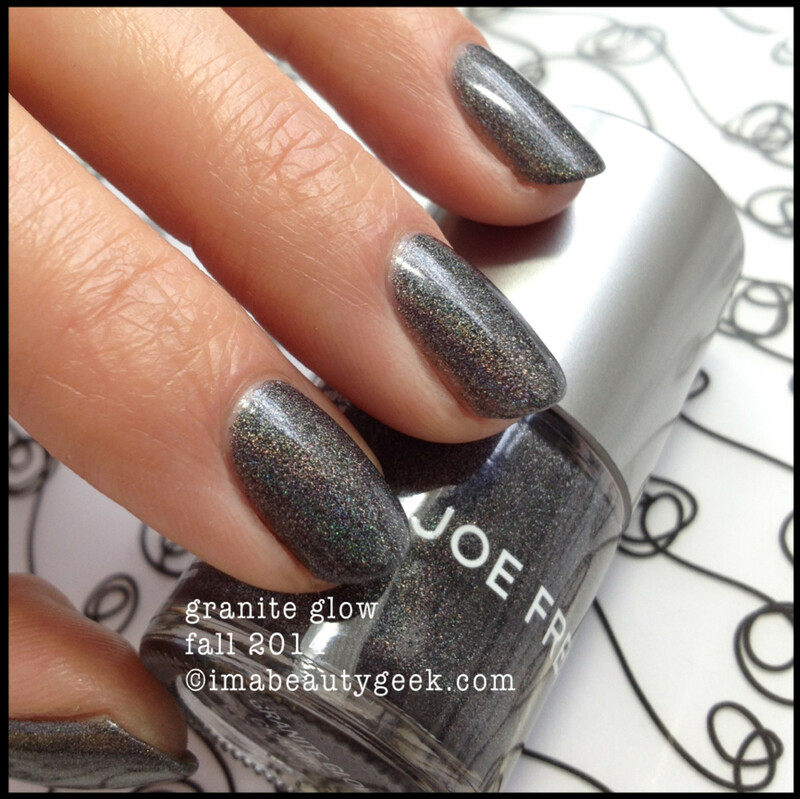 above: joe fresh polish venus OCW!! I don’t have enough words to describe the amount of love I have for these metallic shades. I dig ’em. A lot. 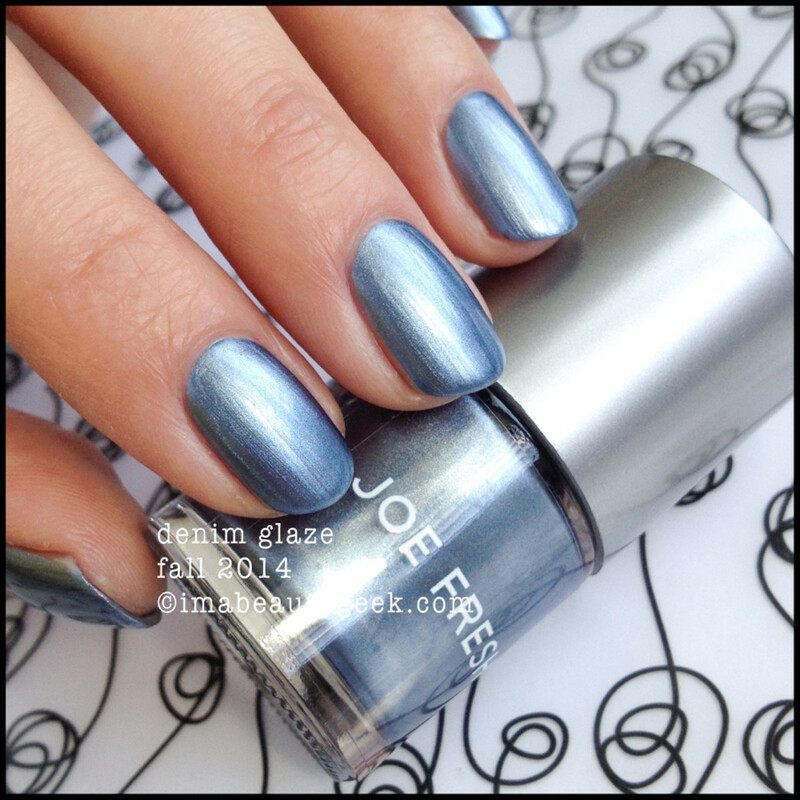 above: joe fresh polish denim glaze OCW!! Love. 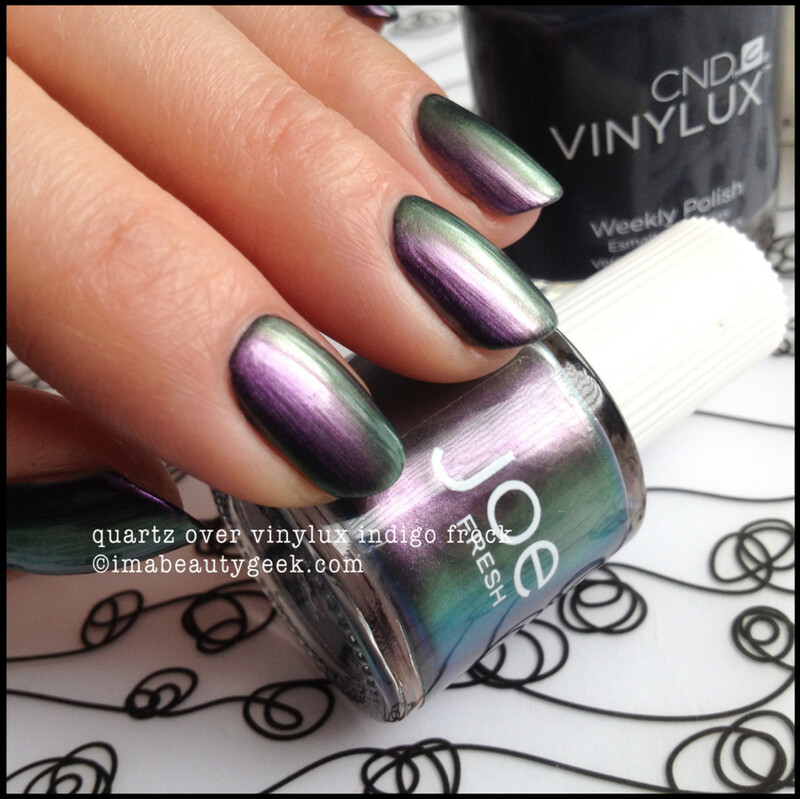 above: joe fresh polish purple haze OCW!! Love love love. 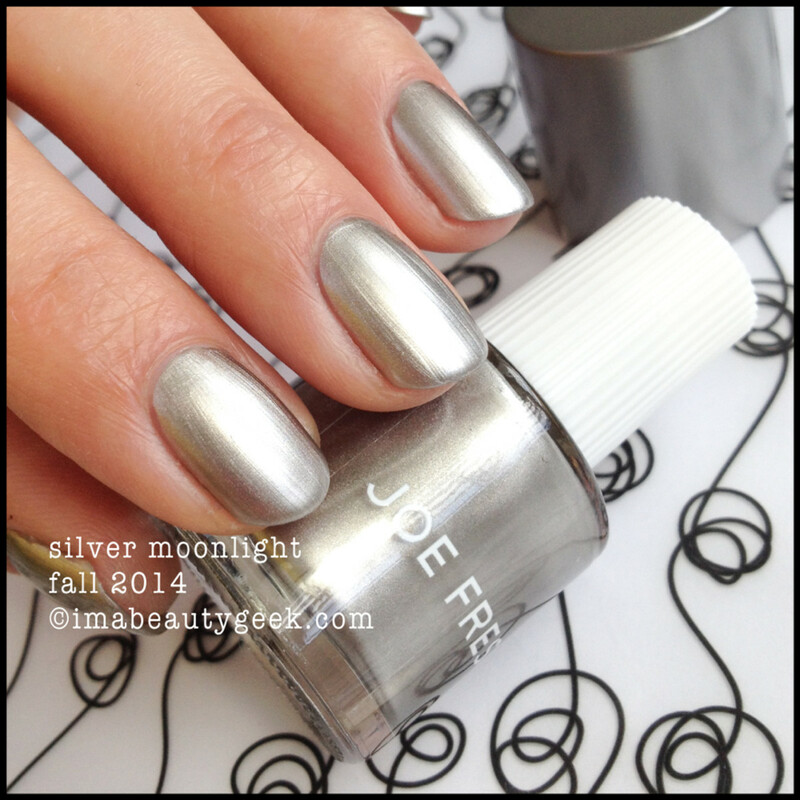 To get the Joe Fresh fall 2014 brushed chromes to look the way I did, you’re going to need a smooth starting surface. That means your regular base coat isn’t going to cut it. Try using a quick dry top coat or even a matte top coat as your base. I used Nicole by OPI Quick Dry Top Coat; it’s what I use under everything chromey. It gives a nice smooth surface and fills in minor ridges. 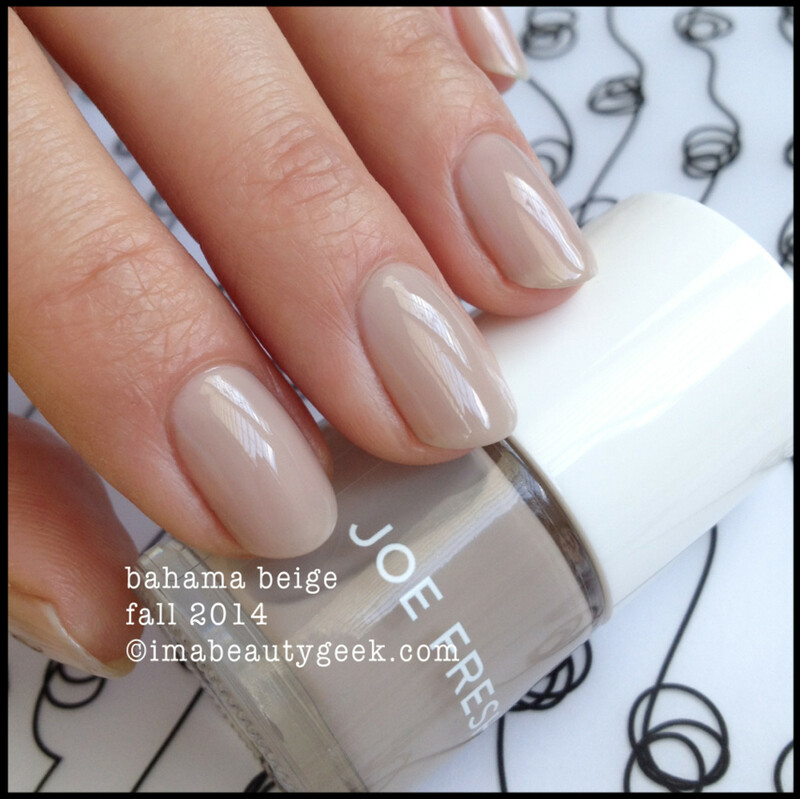 above: joe fresh bahama beige I can’t say I’m really sure what this shade is doing in a fall collection but there it is. It’s a gentle nudey-latte that’s barely there beige. I used two coats but maybe should have used three. above: joe fresh golden rouge A shimmery golden red that I think might be perfect for the *gasp* holidays if maybe there was some sparkly silver ’n gold glitter bits over it. above: joe fresh gold crystalover golden rouge And Joe Fresh can make that happen. 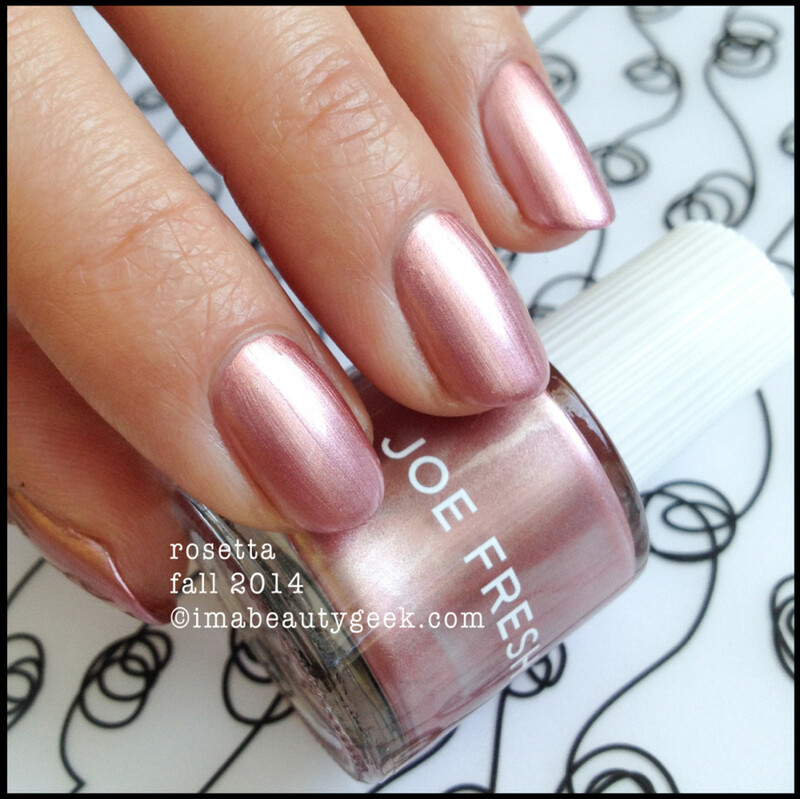 above: joe fresh silver crystal over raspberry Ooooh! I don’t know why I love this so much but I really, really do! It’s so silver blingy! 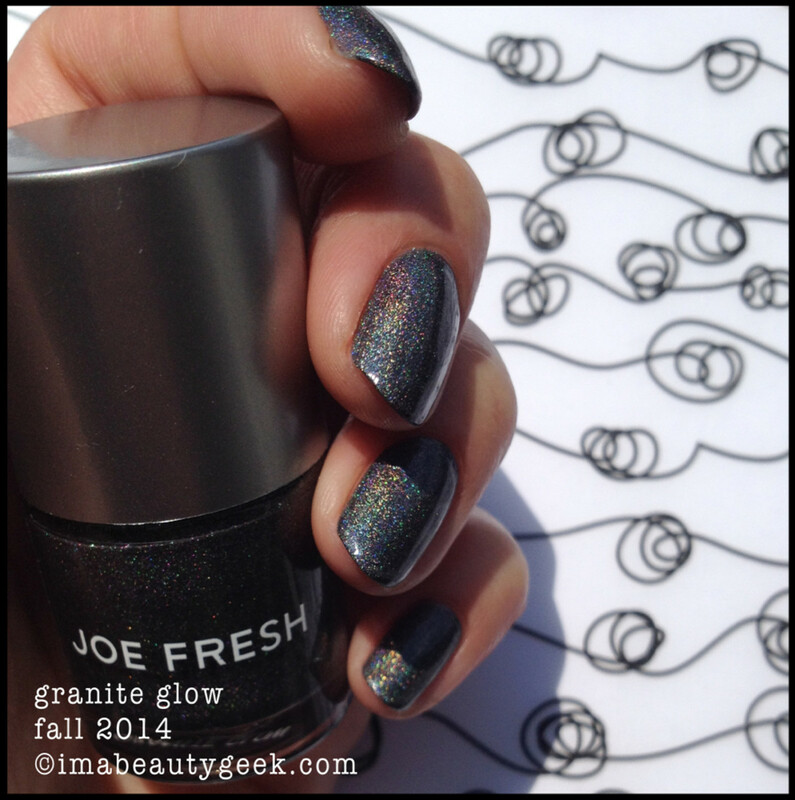 above: joe fresh granite glowin full sun When you take it outside, Ooooh! I can haz rainbowz! 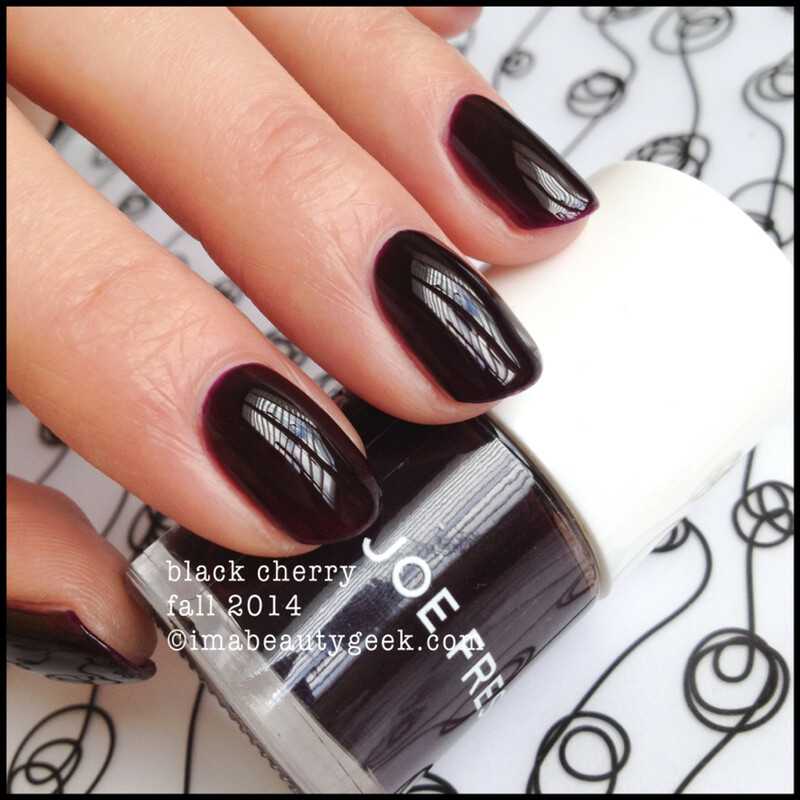 above: joe fresh kaleidoscope over black cherry I don’t have words so here, have another picture. above: joe fresh kaleidoscope over black cherry for the last time Holy crap – it’s a shifty multichrome flaky glitter polish! Pink, green, and turquoise all together at once in one bottle! Gimme That!!! 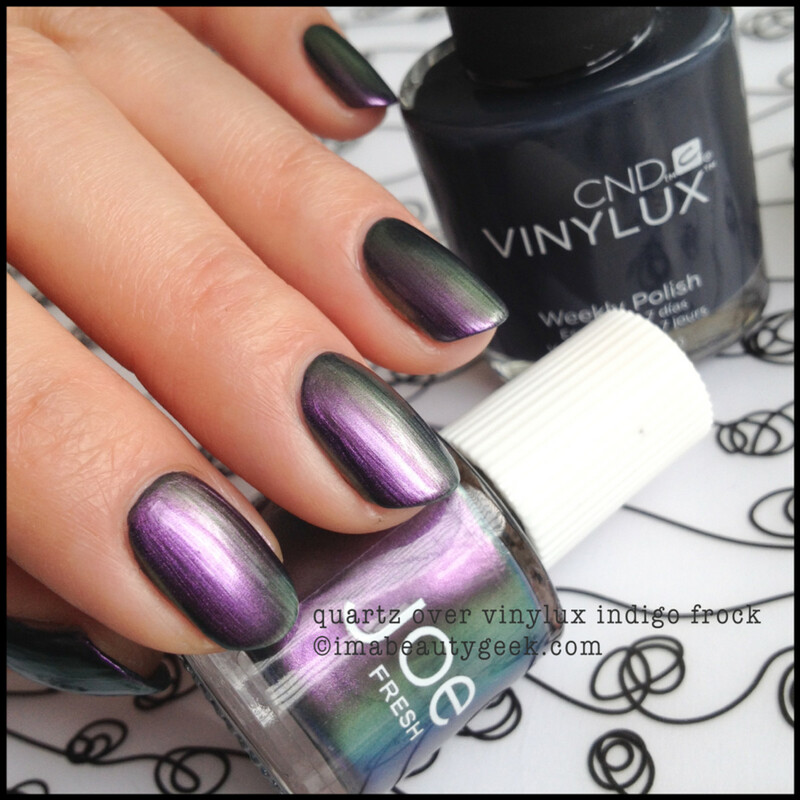 above: joe fresh quartz over vinylux indigo rose This isn&apos;t a fall 2014 offering. I found it at my Loblaws store just the other day and had to have it - probably because all the duochromes Must Belong To Me. above: joe fresh quartz over vinylux indigo rose once more because I can. Now lemme show you a little magic between Joe Fresh Twilight and The Body Shop Colour Crush Smoky Rose. See? See?I do not Photoshop my cuticles. above: joe fresh twilight over the body shop smoky rose Gimmie That. Oh, wait. I already have that! 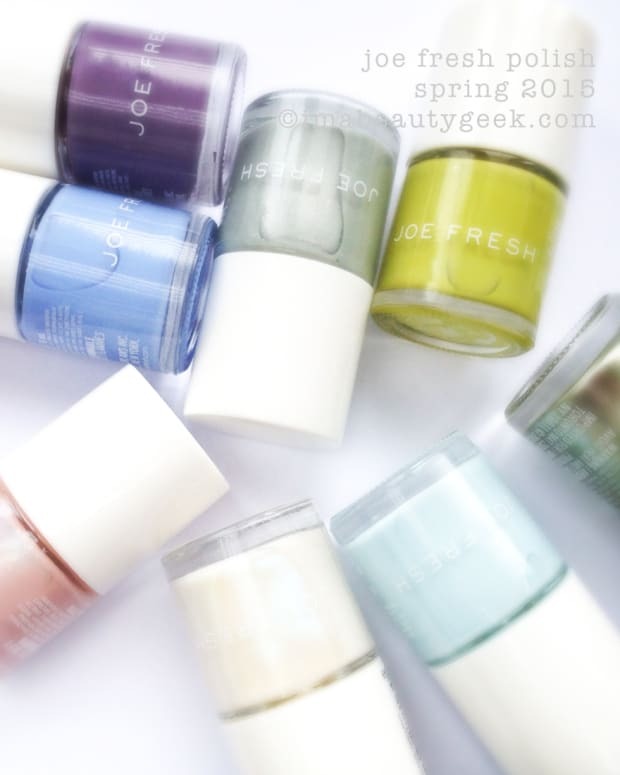 Joe Fresh polish for fall 2014 goes on spectacularly well. I didn’t have to fight with any of it or have any brush issues at all. I love the stuff. If you’d like to see the spring/summer 2014 offerings, I’ve got a buncha swatches over here. where ’n when can you get it? 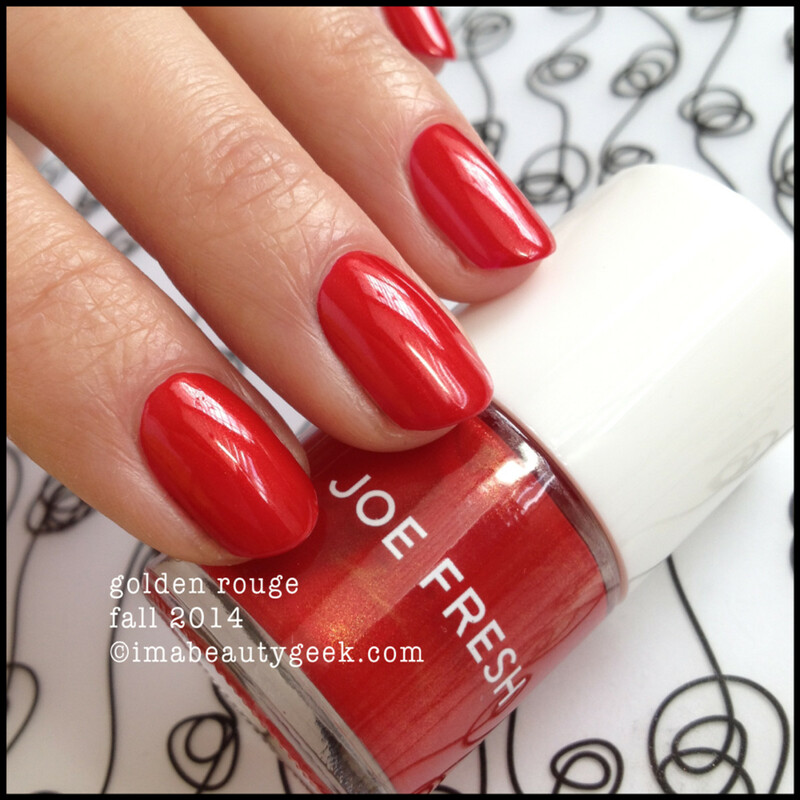 The Joe Fresh Fall 2014 polishes will be available come September 2014 at select Loblaw stores and Real Canadian Superstores. Sometimes there’s a big cosmetics thing and sometimes just a little one so keep your eyes peeled. New shades Black Cherry, Raspberry, Golden Rouge, and Bahama Beige will retail for $4, and the Future Effects Shades will be $6 each. The two shades I showed last were $4 and I found ’em in store on Friday August 1st so if you’re after those two, you best hurry. To find a Joe Fresh location near you, visit joefresh.com. Manicures and photographs by Karen Falcon (she got a new waffle maker!) 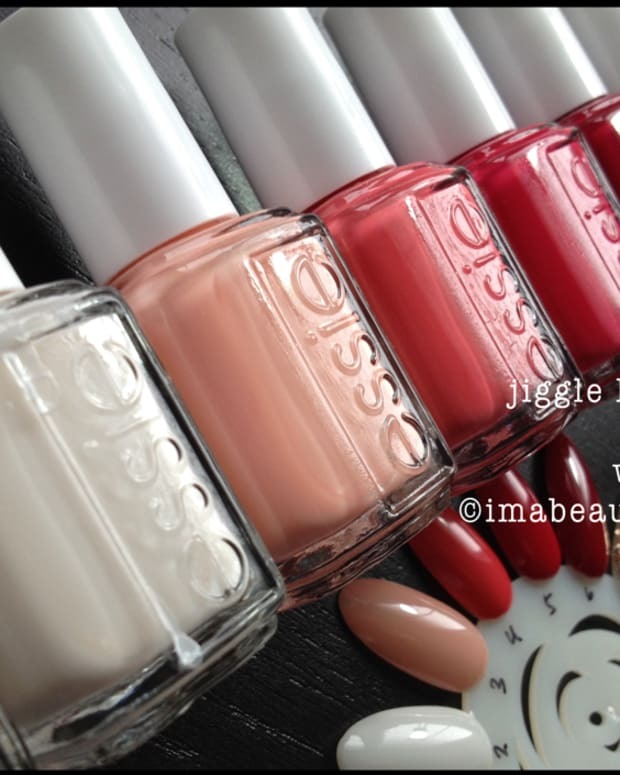 ©2014 BEAUTYGEEKS/imabeautygeek.com.